Obituary for Randell R. Serfass | Hartman Funeral Home, Inc.
Randell R. Serfass of Tamaqua passed away Sunday, March 17, at St. Luke’s Hospital, Allentown Campus, three days before his 66th birthday, after a gallant battle with respiratory illness. Born in Lehighton, Randy, or “Pinky,” was the son of the late Randell H. and Marie (Hill) Serfass. Randy was retired from the transportation industry, including a 28-year career at Leiby Trucking, New Ringgold, with over-the-road hauls to all parts of the country. 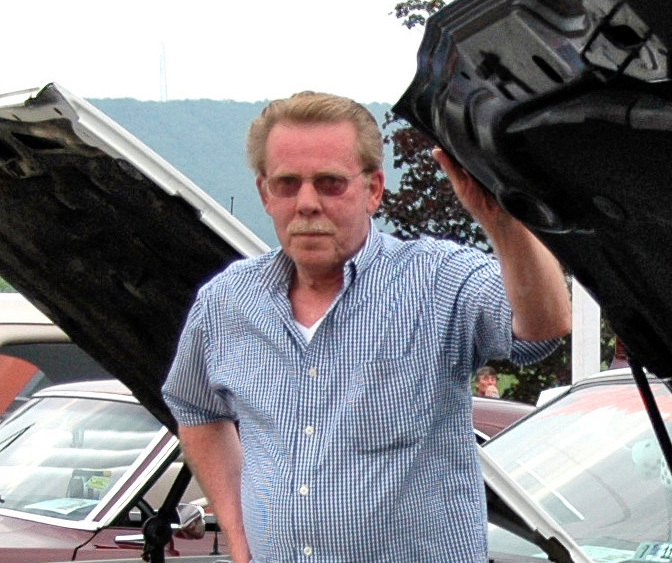 He was a lifelong automotive enthusiast and NASCAR fan with a flair for all things mechanical. Throughout his life, he demonstrated a soft spot for animals and wildlife and supported local animal shelters. He was a man of strong conviction who exhibited a passion for kindness, fairness and justice. He attended Tamaqua public schools and was a member of the once prominent Tamaqua Tomahawks CB Club. He was devoted to his family and was proud of his children. Surviving are his former wife and lifelong friend Jean (Boltz) Serfass and son Scott, of New Ringgold; daughter Sherri Steigerwalt, Lehighton; sister Carolyn Cochrane, Fogelsville; brothers William Serfass, Schuylkill Haven; Dennis Serfass and wife Susan (Homcha), Tamaqua; and Donald Serfass of Hometown. Also surviving are grandchildren: Todd Deem II, Christi Deem, Austin Steigerwalt and Chase Serfass. Great-granchildren: Fey Deem, Aria Deem, Sophia Morgan and Jensen Morgan. He was looking forward to the arrival of a newest great-granddaughter, due in May. Randy also is survived by many nieces and nephews. He was preceded in death by daughter Angela (Serfass) Steigerwalt; brother Ricci Lee Serfass and infant brother Ronald Serfass. He was of the Protestant faith. Private arrangements at the convenience of the family are being handled by Hartman Funeral Home, New Ringgold. At the wishes of the deceased, there will be no calling hours. Contributions in Randy’s name can be made to Tamaqua Area Animal Rescue: TAAR, 345 E. Elm St., Tamaqua, Pa. 18252. Online registry and condolences may be signed at www.hartmanfuneralhomeinc.com.